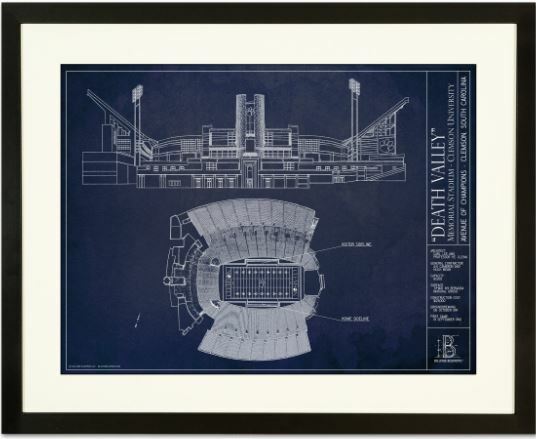 Stadium blueprint poster of Memorial Stadium, home of the Clemson Tigers. -Printed on museum-quality paper stock with a heavenly, crisp white finish and beautiful texture. -Available in Black and American Walnut finishes. -Classic picture frame with a smooth, 2" face with gently rounded edges. 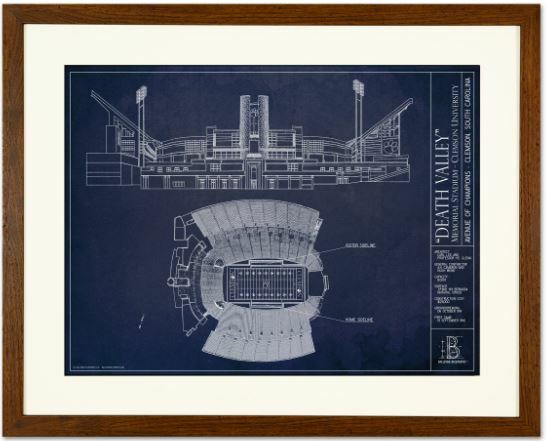 -2 1/2" white matte frames the print perfectly. -Clear acrylic glazing and archival backing. -Please allow 7-10 days for preparation and shipping of your framed print.